If you're a fan of the Super Smash Bros. series (or at least it's Wii U instalment), there's a great chance you would've come across Gonzalo 'ZeRo' Barrios – a highly talented player in the Smash Bros. competitive scene and the world's best when the franchise's Wii U outing is concerned. Barrios has won dozens of tournaments, and currently possesses a world record for most consecutive tournament wins in a row – a whopping streak of 53 in 2015. "The truth is that I lost passion in current Smash 4. But I must clarify, this game is responsible for the most success I've had in my life and some of my fondest memories. I love this game, I really do. I love Smash Bros in general as well. However, I just don't have that 'fire' that I used to have for Smash 4. I used to be able to push myself so easily and without effort back in the day" ... "but nowadays, I pretty much have to force myself to do it." “I anticipate I will want to participate once again in tournaments once the next iteration of Smash Bros. is on the horizon. If that's Smash 5, Smash Switch, or even a big Smash 4 Deluxe update... that's going to be enough to bring me back in the scene." Barrios then goes on to say that he'd like to focus on other things for the time being, such as being more dedicated with his streaming and YouTube content, possibly commentating in future events, writing a book, learning a third language, "experience a different world," and taking care of his body in general. You can read his full farewell statement to the Smash community here. Respect to ZeRo. Being in the spotlight of basically any community is difficult. Only temporarily (until Smash 4 DX inevitably launches). The fact that he could stay the center of attention in a fairly toxic community is beyond me. ZeRo, I give you my respect. Is it the hair, the glasses, the smile, the scarf or a combination of all that makes ZeRo so dreamy? of coarse those are his glasses. Wonder if there's a Smash Bros 3DS competitive scene as well 🤔. 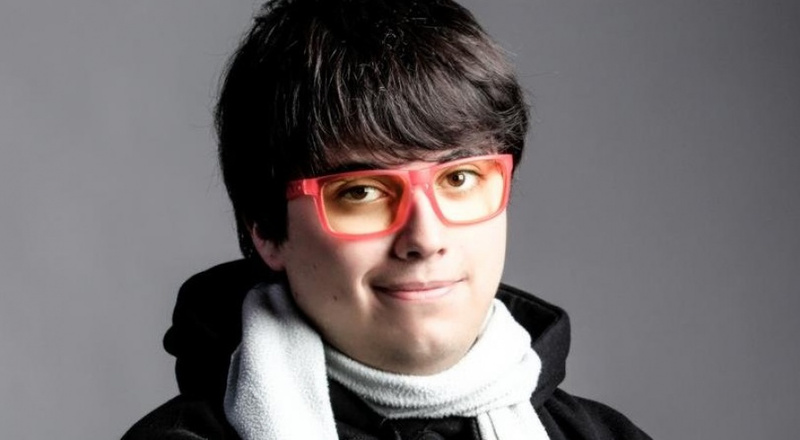 The most unlikable person in the FGC, next to FilipinoChamp. Now I can finally watch Smash without getting triggered by this guy. @thiz lol I think u r the toxic one and the Smash community as well. On that note, hey Ninty, when is Smash 5 coming out? I'm not really a follower of the Smash competitive scene, but I stumbled upon a sort of biography article for Zero the other day and couldn't help but sympathise for the guy. Sounded like he can be a bit of a jerk sometimes, but also got a lot of crap thrown his way for no reason other than being the best. Either way, I wish him well. Hope the door hits you on the way out! I say this without ever actively hating and knowing the dude. I don't even follow the Smash community! I "discovered" ZeRo on youtube when I was looking for some pointers. His For Glory videos were helpful. Clearly he was pretty skilled, but the more I watched the videos, the less I thought about him. Occasionally he'd say something about the opposing player that didn't sit right with me. It was mostly his arrogance I think. I eventually stopped watching his videos. Then I saw that he was some sort of top fighter in the community (always thought he was just a guy on youtube). I saw a video of him walking around on a stage with THAT scarf, and tight clothing, and I think his GF was with him. Might seem petty, and the dude can wear whatever he wants. I just couldn't help but laugh at how silly he looked. He looked like some sort of stereotypical anime "rival" character. Then he'd talk about "my country this," and "my country that." My insta-reaction was, "side glance you're not off at war or an Olympian! You're playing a video game!" I don't think too much of competitive gaming. I overall think it's a bit childish, and I can't imagine why anyone would think it's a career they should invest in (when you have the rest of your life ahead of you). Professional sport athletes have money problems if they're not wise about how they invest after they retire. What chances does a professional "gamer" have? It's even more damaging to youth seeing these personalities online and then peruse the career too. I saw it with my little bro who got so caught up with League of Legends that he put his college career on hold for TWO YEARS. Alright. That's the end rant. He'll be back when the new Smash comes out. Don't really follow closely but he does gets harassed way too much. How can I live my life now? Community's toxic as hell. So I'm not surprised. The competitive side of it is, I mean. But oh well. Well, goodbye. Try to make the community approchable and likable next time! I never could get into any of the Smash Bros. games. I tried every one of them but they all just seemed clunky and unintuitive to me. @JJ286 was a long good read. Now I need a cup of tea. I hope he returns for the next Smash. About time he finally retires, this man’s been at it ever since the release of smash 4. I think now is a good time to move on from the smash competitive scene considering the game’s not that fun to watch anymore tbh. But I wish the guy good luck. A lot of respect to this guy, ZeRo has been an amazing player for quite some time and I definitely respect his decision to retire from the scene for now. He looked just how I expected. Remember when he lost to that palutena? I came here to post that article. Thanks for saving me the time. I don't follow the Smash competitive scene but the kid earned my respect after reading that. @SethNintendo Please, I'm a 30 year old father of two girls. By my definition, a real man can go out covered in stickers, glitter, nail polish, and baby spit up and still respect himself. I'm going to go ahead and wear a scarf when it's cold. Bravo to ZeRo. Always good to know when to take a step back and enjoy things a little bit more. 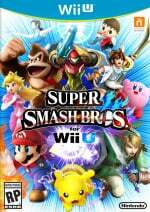 As for Smash 4 Deluxe or Smash 4 Switch? Can we please stop begging for more ports? I am honestly getting a bit upset that every single good game that came to Wii U people are begging to come to other systems. If you care about playing a game go get the system it's on. The Wii U is dirt cheap the games are dirt cheap and yet I still have people complaining that they didn't get a chance to play Pikmin 3 or Smash 4. It's highly irritating that people are clamoring for more ports ports ports and I just had a Nintendo Direct come along that has two ports of games that I already own and therefore have no interest in getting again. First party should avoid porting their own games unless it's a remaster and probably at least eight years down the line. @SethNintendo he wears the scarf because it was a gift from his mother before leaving chile to come to the united states. sentimental value, not style. No man deserves death threats. Sadly that's still a thing in the competitive community... both Melee and 4. Seems like he's taking the same route as Ken did. @LordGeovanni It's weird, I completely agree with you and have always thought this, but only with Smash 4 (one of my favourite games of all time) I make an exception. Course, I wouldn't simply want a port of the exact Wii U version, but I also wouldn't mind something as simple as a few extras much like MK8 Deluxe received, just so I can play the game on the Switch (and thus on the go). I have the unpopular opinion that it's still too early for Smash 5 - Smash 4 is still going strong and a game of its calibre (with some nice new features) deserves to be on Nintendo's latest hybrid system. @Hordak The game didn't fail you... you did. @SM4SHshorts for the most part I'm not against all ports. And I do feel with it's portability, Smash 4 on switch would be amazing. However facts are facts and I do agree with you that smash 5 is too far away: if it was rushed it wouldn't be good. The one thing that's ours me though is just how many games have gotten ports. Not even so much as how many ports have gone to switch but how many ports have occurred from a Wii U exclusive game? Super Mario Maker. Yoshi wooly World. Bayonetta 2. Donkey Kong Country tropical Freeze. Hyrule Warriors. Mario Kart 8. Pokken tournament. @LordGeovanni What's wrong with bringing Wii U games to the Switch? You have to keep in mind that most people don't have a Wii U and Nintendo already stopped its production. @SM4SHshorts Smash 4 can already be played (as Nintendo would say it) anywhere, anytime, and with anyone. If it's too early for a new installment in the series, then it's most certainly too early for an enhanced remake of the newest installment. But it won't be too early come 2019 or 2020. They'll still be needing some epic E-ticket games to come out mid-cycle. @NinNin The only people that don't have a Wii U are the people that chose not to buy one. It was a mainstream 8th generation console on the global market for five years. Releasing a deluxe port is a total slap in the face to Nintendo's most loyal customers. It forces them to choose between either missing out of some potentially great content and paying $80 for a game they already own. Neither of those is a desirable option. A new installment, by contrast, would be bought and enjoyed by everyone - people that have the Wii U version and people that don't. Surely Switch owners deserve better than a recycled four year-old game. When smash bros switch arises he will be back. First parties like Nintendo need to stop prioritizing bringing people into games that have already been published and rather focus on making new experiences. While it does help Drive the new console to have Mario Kart, it does not help anybody that participated on the Wii U when we are getting Donkey Kong tropical freeze over a year after the system comes out. Nintendo has effectively stated they want a major retail release every month. If you include third parties, they have been succeeding and I applaud them for that. But when their contributions are half the time merely ports of an old game from A system that is already defunct I do not appreciate their efforts. Pokken Tournament was an entire month of me having nothing to play. And I will be a serious as I possibly can but not sugar coating any of this. If you want a Wii U game to play, buy a Wii U. That mentality is the sole reason why the Wii U failed so epically. @LUIGITORNADO Lol yeah just go into accounting and drown your sorrows away in doing lines of coke until you and your wife end up on the news for a murder-suicide. There's plenty of ways for life to go wrong; but I think if someone is able to pursue the crazy childhood fantasy of making money by playing videogames; all the more power to them. @Hordak It takes practice to make it feel smooth. Its like riding a bike or skateboard or whatever for the first time. Always feel clunky at first and then something clicks and you're like "oh wow how did I ever think this was awkward"
I don’t keep up with the competitive Smash scene, but I have heard of this guy. He’ll probably be back around when a new Smash game appears. And out of all the Wii U games, this is the main game I wanted on Switch. I don’t care much for the other Wii U ports. @LordGeovanni Bringing Wii U games to the Switch is not for the Wii U owners. Most people don't have a Wii U as I said. "If you want a Wii U game to play, buy a Wii U"
As I said, Nintendo already stopped the production of the Wii U. @Euler "The only people that don't have a Wii U are the people that chose not to buy one." And they are the majority of people. @NinNin Make a brand new Smash game then. That way everyone wins. Why sell yourself short and settle for less than that? "Opportunities that are missed by one are not those that are the faults of others"
If a person wants to play a Wii U game they should buy a Wii U. If they can't buy a Wii U now then it's their own fault. @Euler That's true, but to play devil's advocate, you can't play the HD and arguably more played version on the go. It's a tough one this - again I agree that it's too early for a new instalment, and maybe even an enhanced remake, but then how do you explain MK8D? A Smash port like MK8D with some nice new features (characters, stages, maybe a mode or two) is certainly something I've certainly wanted on the Switch since day one. As Smash is near and dear to me, the thought of waiting at least another year kills me! @LordGeovanni classic petty opinion of WiiU fanboys. The system is dead, nobody should be forced to buy it to experience its games if they don’t want to. Having the choice of porting to a more desirable machine far outweights what (and I’m sorry I have to say it) butthurt fans that feel slighted for being so loyal (nobody forced you) to Nintendo during their dark days want. I haven't played Final Fantasy 15. Do you want to know why? I haven't bought a system that plays it. I would like to see it come to switch, but I don't expect it to come to Switch. I also haven't been able to participate in a lot of the New Kingdom Hearts remasters. Not because I'm expecting it to come to switch, but because I don't have a system that it plays on. Nintendo fans have been blasted for years that if they want to play those games they need to buy those systems. I agree with that. Why should I watch a new system I'm hyped for be flooded with ports of last generation games that I already own simply because other people don't want to spend $100 for a Wii U now? It works both ways. If you want to play that game, buy the system it's on. Don't come crying five, six, seven+ years later that you never got to play the game simply because you refuse to buy a system that the game was on. Even worse, you can still physically by that system. Maybe not brand new, but still purchase it because I can find an NES on this very day if I needed to. I am tired of being told that I need to grow up if I want a game that's on another system and now I'm being told I need to grow up because I want others to have to buy into the same mentality that they forced on me. "OH YEAH? WHEN THE NEW ONE COMES OUT HE'LL BE BACK, JUST WAIT AND SEE!!!" I feel I should take a moment to clarify something. I am not against third-party ports directly. Third parties can utilize ports such as Dark Souls, to learn the architect of the new system and increase demand for their new games on that same system. This could be the beginning of Dark Souls 4 on Switch along with other platforms. My negativity is solely on first-party developers, in this case Nintendo, bringing back multiple years worth of games ~five years later just to fill out a catalog that they should be making new games for instead. @LordGeovanni because (and get this) its not about you or the reduced Wii U audience. The Switch has already surpassed the Wii U lifetime sales, and it will continue to grow, so why not allow those people to enjoy the games they might missed? Just because you already have them? Ain’t that supremely egocentrical and petty? @LordGeovanni "I haven't played Final Fantasy 15. Do you want to know why? I haven't bought a system that plays it. I would like to see it come to switch, but I don't expect it to come to Switch." "I haven't played Mario Kart 8. Do you want to know why? I haven't bought a system that plays it. I would like to see it come to switch, but I don't expect it to come to Switch." You know, many Switch owners and people who want to buy a Switch also feel the same as you do. Why not let them have the fun? They are allowed to enjoy the games they missed. It is almost like if they buy a Wii U they can play them. But that shouldnt matter, right? Cause after all the Wii U didnt struggle due to people deciding it wasnt worth the effort. Either people want the Wii U games or they dont want the Wii U. It is simple like that. I will be honest here, I don't know exactly what your point was with comment #54. My later comment, #52 directly references the difference in my views of 3rd party ports compared to 1st party. I believe I have also detailed the difference between early ports, such as Mario Kart 8, and later ports after a year of the system being on the market. Early ports start a console off, but they will eventually pull poor efforts forward. It is the 1st party's job, Nintendo's job, to show off the newest quality first. Why should we expect great things from the "Wii U Failure's Successor" if the successor is nothing more than the dumping ground of the Wii U's greatest games? @LordGeovanni My point is that you want to play a game that is available on a system you don't own, but you don't want others who don't own a Wii U to enjoy some Wii U games as Switch ports. My point is that you are failing at reading my own comment. "you want to play a game that is available on a system you don't own" Exactly. But the VERY next thing I say is "Nintendo fans have been blasted for years that if they want to play those games they need to buy those systems. I agree with that." You also say "you don't want others who don't own a Wii U to enjoy some Wii U games as Switch ports". Well, this is true in part. I want people who don't have a Wii U to shut up about asking for more and More and MORE Wii U game ports to Switch. I also want them to actually buy a Wii U if there are so many games they want to play. I am not saying buy a factory sealed Wii U. But it isn't hard to find a Wii U. Wasting time and man-power on remaking a game that was JUST RELEASED within two or three years ago simply to pan-handle to the crying babies that refused to buy a Wii U should not be Nintendo's focus. Here is an idea. I think it is really cool, but because it involves GameStop I am 100% certain that people will bash it regardless. GameStop has a Gaurentee regarding pre-owned merchandise. Buy a pre-owned Wii U and whatever game you want to play. Play it and return them within a week. GameStop gives you back the SAME AMOUNT that you paid for pre-owned games. This also applies to pre-owned consoles. And even IF you stall out the week of time for your money back, you can still get store credit for up to THIRTY (30) days after purchase. So you can still put that money to getting new Switch games or any game for any console or game they have. There ARE options to be able to play those games. GameStop even flat out gives you a way to effectively "rent" games AND SYSTEMS for no cost if you give them collateral. Why should I suffer game droughts just because Switch owners that didn't get a Wii U want to play the 20+ exclusive games they didn't want to play a year or two ago? @LordGeovanni I don't understand why you can't see a simple contradiction in your own statement. @LordGeovanni totally agree and great points. You can't see a difference in me being accepting of games that I want to play not being available to me compared to others demanding games that they couldn't play? You can't see a difference between exact opposites? I said it three times now. I am COMPLETELY FINE with the fact I can't play certain games because they are not on a system I own. I am COMPLETELY FINE with the idea that if I deide to play them I have to go buy that console I don't already own. I am NOT FINE with people demanding games be ported to another system solely to avoid having to buy a system they don't own. While it is nice to finally be able to play a game without having that system, I find it incredibly arrogant to assume games should HAVE to be ported just so they can avoid buying a system. If you are not able to comprehend my stance on this I don't have a way to continue this topic without repeating comments already said by myself earlier. Never was a fan (seemed to want to be both the heel and the face without being good at either) but I could tell he's good at what he does. Godspeed, ZeRo. Nintendo porting Wii U games doesn't stop them from making new ones. The assets are there already and it's just a quick and inexpensive effort. It's a win-win for Nintendo and those that wants it on the Switch in the long run. @SM4SHshorts I hate to say this, but if you want any Smash game on the Switch to be both HD and portable (be it a brand new game, a deluxe port of Smash 4, or even a Melee HD remake) you're going to be disappointed. The HD is only ever available when the system is in non-portable mode. Mario Kart 8 Deluxe is an unusual case. On the one hand, I don't like the idea of deluxe ports largely for the same reason (delays new installments in the franchise, and forces people that bought the original game to either double dip or miss out on new content). With that being said however, Mario Kart 8 Deluxe was at least understandable. Nintendo's back was against the wall and they needed a good selection of E ticket games to sell their new system, games that appeal to all types of players (core, casual, single-player, multi-player). They didn't really have that with the Wii U launch (New Super Mario Bros. U was essentially New Super Mario Bros. Wii with different levels and a comments section - still a great game, but didn't revolutionize the series or showcase the system's new features to the full extent). Zelda Breath of the Wild obviously covers the single-player niche, but they needed a good multi-player game to complement it. Nintendo's biggest two multiplayer franchises are Mario Kart and Super Smash Bros, so it makes sense for one of them to be a launch title (even if they don't have the resources to make it a completely new game). They went with the former, maybe because it consistently outsells Smash (the only exception being the Gamecube entries, where they essentially tied). That was in 2017. 2018 is a whole different ballgame. The Switch sold extremely well last year and continues to sell well. There's a wide variety of games available, third-party developers support the system, and we (hopefully) have an E ticket game or two coming later this year in the form of Metroid Prime 4 and/or Pokemon Male and Female (working title). And other Wii U games did get full sequels rather than deluxe ports (Splatoon, Yoshi's Wooly World, Xenoblade, and Super Mario 3D World being examples). "As Smash is near and dear to me, the thought of waiting at least another year kills me!" It might come down to taste, but I fall into the two-marshmallow camp lol. An amazing player and a respectable decision. Best of luck to you. There are good points that you make there, but I can already see two flaws. First, it still takes some time and man-power. Therefore, it is taking time away from development of other games. No matter low little, it is redundant work (as the game is already available elsewhere) and therefore "wasted" by not being on new content games. For example, the Funky Kong gameplay is all new. But all the levels and the other existing content? They are not just dragged and dropped onto Switch. It may be shorter development time, but it is still time spent. The second part is the "it's just a quick and inexpensive effort." It is inexpensive, but for Nintendo. Not for people who want to play the game, nor is it for people who want the new content without paying the full game again. If I want to play Donkey Kong Tropical Freeze with Funky Kong? Probably $60 just as expected. But that is something that I feel is FAR overpriced if I already have the other version. And while others who didn't get the Wii U game may want that game, they still have opportunities to buy it and therefore make this redundant as well. "stop them from making new ones" as fast. So you want people who want to play DKC buy a dead unsupported system? That logic man. You're just being selfish. So you want to play the new Funky Kong mode? Is it worth 60 bucks to you? If yes then just buy it again or wait for a sale. I'm double dipping on DKC but I'll wait until I can get it for no more than 30 bucks. I have other games to play. That money that Nintendo will make for the ports could also be put for development and man power costs to speed up the creation of new games or improvements of other services. I want people who want to play games to play those games. If it is on a "dead unsupported system" then that is on them. It isn't me being selfish that I would like new content. Rather that they are selfish that they would prefer to be spoonfeed games they should have gotten earlier but didn't want to buy a system for. Expecting money for the content to "speed up the creation of new games" is just laughable. If it prevents development of those games Right Now, then it is slowing them down. If they have to be made later that delays the games that would be developed Then into even further times. @BensonUii Depends on the game. If Mario Kart 9 came out tomorrow, it wouldn't sell as well as it normally would because the Mario Kart 8 Deluxe port would cannibalize its sales. Hence less net profit for Nintendo and less of an incentive to make a new Mario Kart game. He’s like I love to smash but I gotta smash in real life before I’m 30. Move that ZeRo to 1 then come back smash brah! He looks like a less masculine Rachel Maddow. Can anyone tell me about why the Smash community is “toxic”? I don’t follow it at all and am wondering if it’s any worse than any other community? @BensonUii same here, I don't follow the Smash community but the Kotaku article made me feel bad for Zero. Ppl literally hate him cause he is good at the game and thats ludicrous. I believe the term here is "burnout". Frankly I don't know how some competitive players or streamers do it. Playing the same game day after day for months and years! I would burn out on almost any game past the 500 hour mark, and I know that is a huge number for most people. @JHDK He turns you on THAT much, eh? @SethNintendo You nailed it, bro. @LUIGITORNADO He wears the scarf for a personal reason, his mother gave it to him when he moved to the US. Also why the hate? What he is doing isnt harming anyone, if you are so bitter about something like that happening in your family, its a personal problem of not setting realistic expectations. Scapgoating this man for your own issues is unfair to him, and promotes the stigma games still have today. After reading comments here, I researched the Smash community. I’m shocked at how toxic it is. Everywhere I’ve talked to Nintendo fans they have been lovely. Sadly toxic people shout loudest and give everyone a bad name, so I don’t blame him for stepping away. The real headline should read "Man caught wearing pink sunglasses"
@SethNintendo For what it's worth, craft glitter isn't in my house because of the mess, but there's been some annoying toys that come in the house and shed glitter. Those have been banned because they annoy me to no end, but I'm perfectly willing to use the environment as an excuse! @TheRedCap30 Yeah. I know the reason why he wears the scarf. Doesn't make it any less silly---see the point about not being off fighting a war. I was merely reacting to the headline and sharing my own "experience" with people playing games as a career. I don't go about my day-to-day business clenching my fists and mumbling how much I hate ZeRo as I kick a stray cat when walking down the street. Good for him for getting out. "Hope the door hits you on the way out!" Almost 90 posts and nobody asking why this page is blue? He will rest for a very long time then.